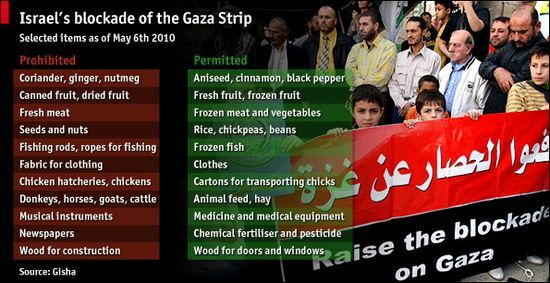 Can Twitter Help Raise Awareness for Gaza? Today marks the one-year anniversary of the 22-day Israeli military raid on Gaza. Gaza, one of the two Palestinian territories currently under Israeli occupation. I know Gaza is not a topic of polite cocktail party or happy hour conversation for most people. Most people probably aren’t quite aware of where Gaza is (here is a map for that), especially since it’s a tiny territory that’s only about 139 square miles on the coast of the Mediterranean. So it is probably not widely known that one year ago, Israeli military forces killed 1,400 Palestinians, of which over 900 were civilians and over 300 were children. And considerable damage was done to Gazan roads, houses, and infrastructure — most of which has still not been repaired. The UN Secretary General has acknowledged that Gaza is currently suffering from a dire human rights crisis. Since the attacks last year, the UN says, Gazans have been denied basic human rights and have been denied the resources to rebuild their infrastructure. The mainstream media has hardly reported on the ongoing crisis there. They’re focused on other stories — whatever sells the most papers or the most advertising, I guess. So human rights activists around the world are using unconventional channels to air their concerns about the lasting human rights crisis in Gaza — they’re mounting a Twitter campaign to raise awareness. Buoyed by the success of the Iran election activists, who tweeted their observations about the controversial Iranian election and subsequent protests using the hashtag #iranelection, and capured the world’s attention — now Palestinian activists are hoping to start a movement of their own using Twitter as their primary tool of communication. Their hashtag is #gaza, and today, December 27, from 3 pm – 7 pm GMT, they are encouraging everyone they know to tweet using the hashtag #gaza in the hopes of making Gaza the #1 trending topic on Twitter — which is no easy feat, given the millions of people using Twitter everyday. The topic was already trending even before the campaign was scheduled to start at 3 pm GMT. It hasn’t hit #1 yet, but has been in the trending topics all day Sunday as Twitter users from all over the world share their thoughts, hopes, and fears for Gaza. 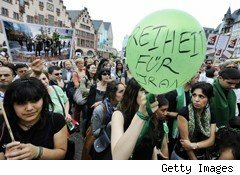 The hope, of course, is to generate attention from the mainstream media and the larger public similar to the way the Iranian election protesters did. The power of a trending topic, however, may seem silly to some but should not be underestimated. Getting a campaign’s hashtag in the trending topics on Twitter makes the tag visible to everyone visiting Twitter.com — bringing the topic into the public consciousness and into the forefront of discussion. Twitter users who aren’t already aware of the issue will, hopefully, click on the trending topic to learn more about it — and maybe even choose to join in. Will it work? We’ll know this week. My hope is that bloggers will start to pick up the story first as they notice that #Gaza has been sitting in the trending topics on Twitter all day, and then mainstream media should take a cue from political bloggers and start to report on it as well. You can view all the #gaza tweets here.